The patient should always be treated as a dignified human being, as a loved one, as a member of the family. Dr. Mahmood completed his Bachelor of Medicine, Bachelor of Surgery degree at Sindh Medical College of Dow University of Health Sciences in Karachi. He completed housemanships (internships) in medicine and surgery at Jinnah Postgraduate Medical Center, also in Karachi. He then served as Medical Officer at Quarashi Medical Center, a primary care facility, and completed a two-year training in anesthesiology at Civil Hospital Karachi. Dr. Mahmood came to the United States in 1997, becoming a Research Associate in the Anesthesiology Laboratories at Cook County Hospital in Chicago. He completed an Internship and Residency in Anesthesiology at John Stronger Jr. Hospital of Cook County. From 2002 to 2008, Dr. Mahmood was Attending Anesthesiologist at a very large community hospital outside Chicago. From 2005 to 2008, Dr. Mahmood was also Attending Anesthesiologist at a small outpatient surgical facility outside Chicago. He then joined a group of anesthesiologists providing care at numerous hospitals and surgery centers, where he further honed his regional anesthesia and postoperative pain management techniques. After completing a fellowship in pediatric anesthesiology at the University of Illinois Medical Center, Dr. Mahmood became Attending Anesthesiologist at a large children’s hospital in Chicago. He joined CTCA® in February 2014. Dr. Mahmood holds a medical license from the State of Illinois and is Board Certified in Anesthesiology by the American Board of Anesthesiology. 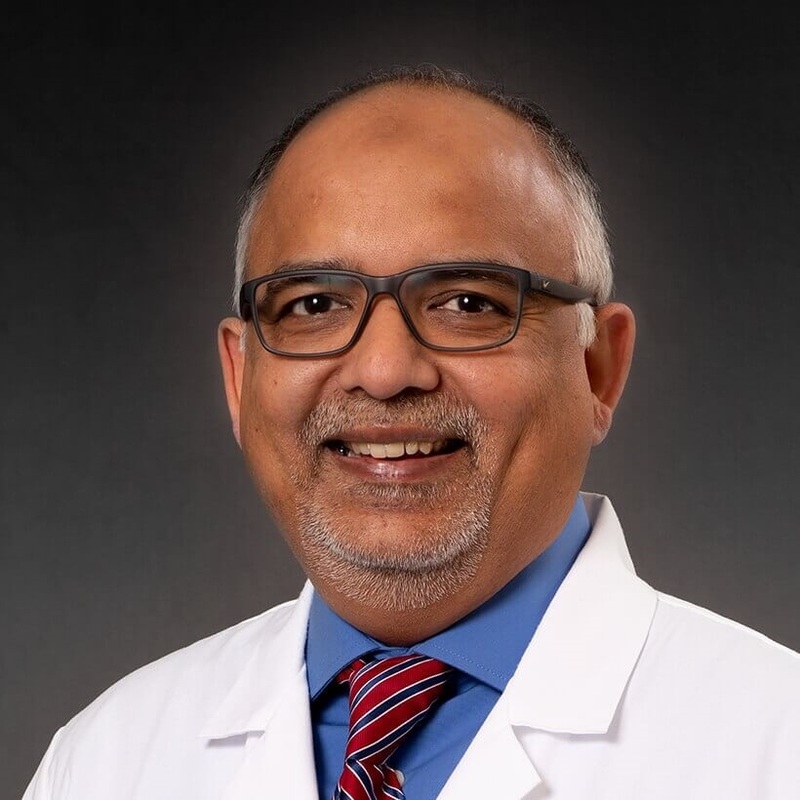 He is a member of the American Society of Anesthesiology, the Illinois Society of Anesthesiology, Lake County Medical Society, American Medical Association, and Association of Physicians of Pakistani Descent in North America. He has presented research on anesthetic management at several medical conferences. At CTCA, Dr. Mahmood provides regional and general anesthesia for patients with all types of cancer. He has expertise in the use of thoracic epidurals, peripheral nerve blockes and difficult airway management. Outside of CTCA, Dr. Mahmood enjoys spending time with his wife and their sons, bicycling, gardening and spending time outdoors in the summer.